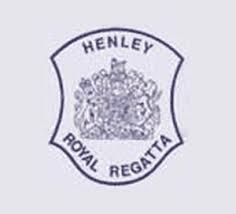 Today the SUABC will be back at Henley Royal Regatta for the fourth year in a row! The senior men’s coxless four (Mike Hourigan (str), Pat Hourigan, Alastair Collier and Ed Press(bow, steers)) coached by Bill Sullivan and Colin Bell, are racing at the premiere summer regatta today. Good luck to them from the whole Club! Their race is a heat of the Wyfold Challenge for club coxless fours and they face stiff competition going against Swan River from Australia. The race starts at 10:45 and will be shown live on the HRR YouTube channel and will be viewable again shortly afterwards. Unfortunately, after three years of being quarter finalists in the Britannia Challenge, the men’s club coxed four just missed out on qualifying this year, despite all improving on and off the water.